Bakery Bäckerei Evertzberg GmbH & Co. KG in Remscheid has decided to start using the Pcdata smart glasses (Distrib AR / Pick by Vision), the latest order picking technology based on virtual reality, for the order picking of bread, buns, pastries and snacks. 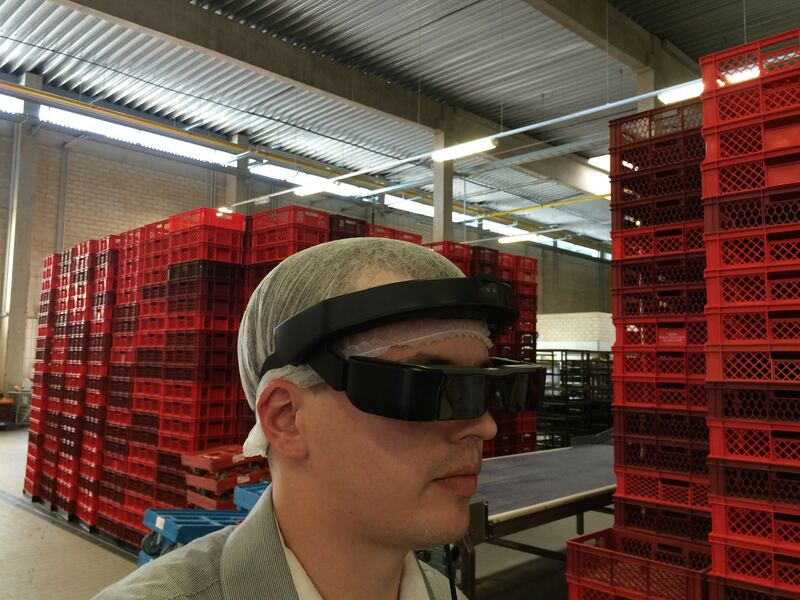 This is a well-considered solution following extensive testing of the deployment of the smart glasses by Bäckerei Evertzberg in cooperation with the service provider and software company Pcdata. At the end of the trial and testing period, Bäckerei Evertzberg has decided to expand the test system with another four smart glasses, so that a total of five employees can do the order picking of the baked goods simultaneously. Bäckerei Evertzberg had already been looking for a solution to optimise the order picking of fresh daily products for quite some time. More than 40 of their own branches and a few dozen resellers are supplied with fresh baked bread and other bakery items daily. Various options for deployment were evaluated, however, the order picking solution with smart glasses was the preferred test subject. Above all, the high degree of flexibility and the significantly lower investment costs in IT infrastructure when compared to other solutions, were two key grounds for the series of tests with Pcdata. This makes the smart glasses technology a perfect solution. The decision to make this big step of going directly from paper to the smart glasses was finalised after the technology had proven itself admirably. 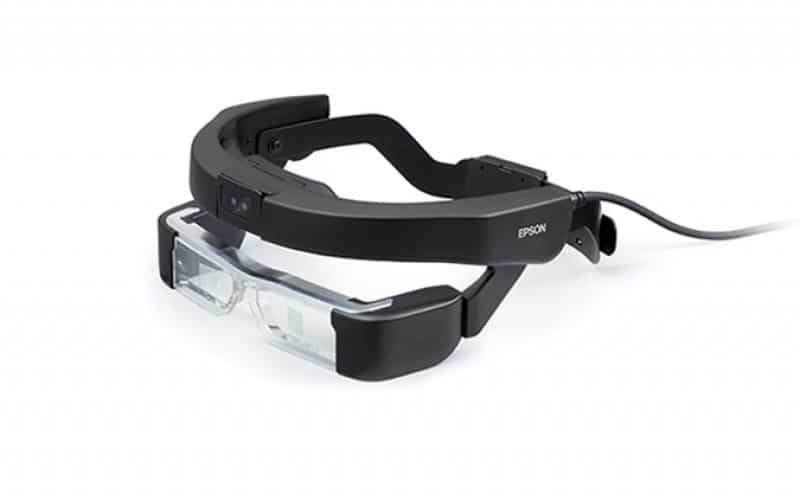 To begin with, the comprehensive conversion process had to be worked out with the employees, especially since they had never before worked with smart glasses. This new technology has also only been implemented in practice a few times. In fact, there are a few bakery branches in Germany that have deployed smart glasses, but in most cases this involved particular product groups or articles. Order picking main products such as bread with smart glasses has yet to be implemented. Pcdata has implemented the smart glasses with several bakeries, but this is a first in a bakery with its own shops in Germany. This is why Bäckerei Evertzberg and Pcdata first started with an extensive test phase, in which part of the order picking was carried out with a pair of smart glasses. The key objective of this test was to test their ergonomics with employees, since it involves an entirely new reading experience, to which employees must first become accustomed. Over a period of several weeks, the smart glasses technology was tested by several order picking employees. Several models of glasses were tested so that a well-informed, mutual decision could be made. The outcome of this test was a unanimous decision for a particular model of the smart glasses. These glasses proved to have the best ergonomic characteristics for Bäckerei Evertzberg’s working method. The virtual reality images are projected into the camera of the selected smart glasses. For everyone involved in the test, learning to work with this innovative technology was quick and easy and thus, the decision was made for this model of the glasses. Mr. Bischzur, Managing Director of Bäckerei Evertzberg, explains his employees’ decision: “We are very pleased that Pcdata has taken so much time with the test and has allowed our employees to become accustomed to the project and the changes. In this way, we could be sure that we made the best decision. We had to optimise our order picking, which normally would have involved a display-based picking system as the next logical step. However, the associated hardware installation kept us from taking this step. Instead, we decided to take this significant leap and directly deploy the latest technology in our company. We believe the use of smart glasses is the right choice, even though there are still only a few bakeries which use this system. With Pcdata, we were able to analyse our needs and test the appropriate systems together. The very long and comprehensive test period has brought new, exciting findings for both us and Pcdata, which we will now use in the implementation phase. The testing of different models of smart glasses will also prove critical for a successful entry phase. If the smart glasses test and feedback received by our colleagues had been negative, we also the option of deploying a display system from Pcdata. In this way, modern, sophisticated software would have still been deployed and we still would have made a significant improvement in our picking operation. However, we can now be proud of a new milestone in our company that will be very important for future expansion. If you want to know if Smart Glasses would be suitable for your warehouse, please feel free to contact us!